With Ynys Môn’s bid to host the 2025 International Island Games progressing at a pace and the deadline fast-approaching for their bid to be submitted, the island’s Assembly Member Rhun ap Iorwerth has again raised the prospect of Anglesey and Wales hosting such a major international tournament in the National Assembly. 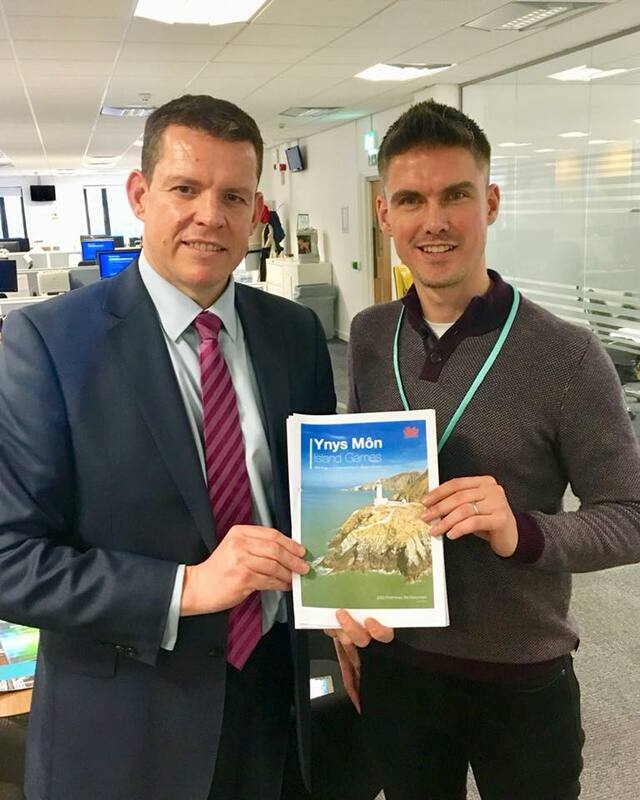 In a question to Welsh Government Minister Eluned Morgan, who holds the Major Events portfolio, Rhun ap Iorwerth raised the island’s bid to host the 2025 International Island Games – a tournament that, if the island is successful in its bid, could result in a £5m economic boost for the island in 2025. “There is one major event in the pipeline for us on Ynys Môn—the opportunity to stage the Island Games in 2025. The executive committee of the Island Games internationally has been very supportive of our plans and I’m very grateful to them for that, and we will be submitting our final bid in a matter of weeks, so this is a crucial time. “We’re extremely grateful for the support that’s been shown from the local authority and by the major events team within the Welsh Government under previous Ministers and we look forward to working in partnership with the current minister, Eluned Morgan, over ensuing years, up until 2025.